Scott’s had five normal, ghost-free years in Chicago, when the spirit of Tim’s mother comes to him and begs him to go home because Tim’s in trouble and needs him. He isn’t prepared for what he finds when he goes home—a taller and sexier Tim, but a Tim who hasn’t forgiven Scott for abandoning him… a Tim whose body is no longer his own. The ghost of a serial murderer has attached itself to Tim, and it’s whispering dark and evil things. It wants Tim to kill, and it’s becoming harder for Tim to resist. To free the man who has always meant so much to him, Scott must unravel the mystery of the destiny he shares with Tim. Does coming back from the dead count? No? :huff: Fine. My greatest achievement? Honestly, I don’t have any. 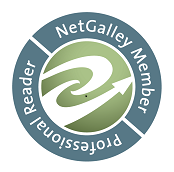 At least nothing noteworthy. I was a kid who popped pills so he could get high and not see ghosts. I was the one who couldn’t handle things, so ran away from the guy I loved. The one who left his family without bothering to think about them. So my greatest achievement? Maybe one day I will have one worth sharing. If you could have any job or profession, what would it be? When I was growing up, I wanted to be a fireman. The thought of riding around on the big, screaming red truck, rushing to put out fires and saving cats and dogs from burning buildings? That was my jam. Then I died (you’ll hear me complain about that a lot, just so you know), and all I wanted was to live. To see my best friend, Tim, once more. To tell him… It doesn’t matter. I didn’t have the words for it then, and by the time I figured it out, I was strung out on medication, and no one would ever want me. But between us? I loved him with my whole heart. Which is why leaving him sucked. God, where do I start? It could be listening to my brother and making the jump into the quarry where I died. That’s pretty high on my list. It might be not seeing Tim again. Honestly? I think my biggest regret, at least when I died, was that I would never get to see what it was like to grow up. Ryan, that brother I mentioned? He was constantly teasing me about sprouting a hair on his chest, or showing me the one under his arm. That was a big regret too. Ryan had thought it was hilarious listening to me scream. I got even though. While he was laughing, I reached up and yanked that hair out. The punch I got? Yeah, totally regretted that. Pizza, of course. Is there a more perfect food? It’s got all of the basic food groups, all wrapped up in a handheld piece of yum. I love garlic and tomatoes, with mounds of cheese. No other toppings are needed. That, to me, is the perfect pizza. Tim. Simple and easy answer, but it took a lot of work to get to it. I learned that heroes have feet of clay, and they can never live up to their reputation. My dad used to be my hero, until the day he walked out on us. Every person I ever looked up to, at some point in time, failed me. Except Tim. He was always steadfast. My buffer between a rock and a hard place. His vigilance never wavered. To this day, I honestly think he would die before letting me be hurt. The thing is, he’s not just my hero. He’s the guy I loved from afar, and will always love until the day I die again. 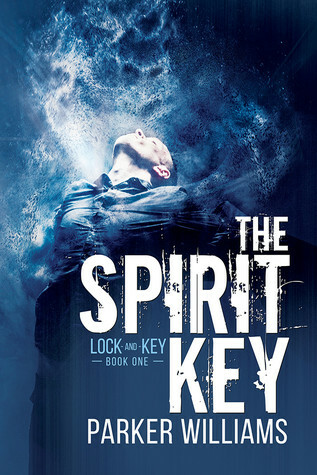 Enter for your chance to win a signed paperback copy of The Spirit Key.